There’s nothing to say “America… F$%# yeah!” like a Cadillac with long horns on the hood. Nudie Cohn, the rodeo tailor, had several “horny cars” throughout the years, Tex from Cars was a Cadillac with a set of horns, and Boss Hog from Dukes of Hazzard had a set of horns on his white convertible Cadillac. 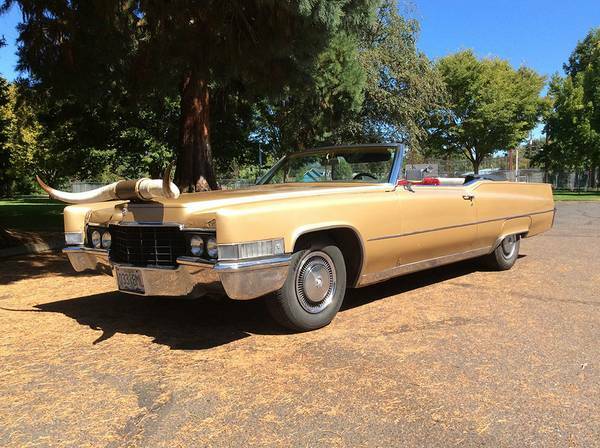 So if you want to say “America… F$#@ yeah!”, but don’t have a lot of greenbacks, check out this 1969 Cadillac de Ville Convertible for sale for $1950 in Grants Pass, OR. Before Volvo’s primary reputation was as a safe, sensible car, thanks to stunts like stacking them for ads, they were practical yet sporty cars that could safely haul the family around in a bit of style during the week, while being fun on the back roads on the weekend. And in gentler climates, people still use them that way today. And if you’re going to do that, you might as well not use a pristine exmaple – find one that’s mechanically in order, but cosmetically good to fair. 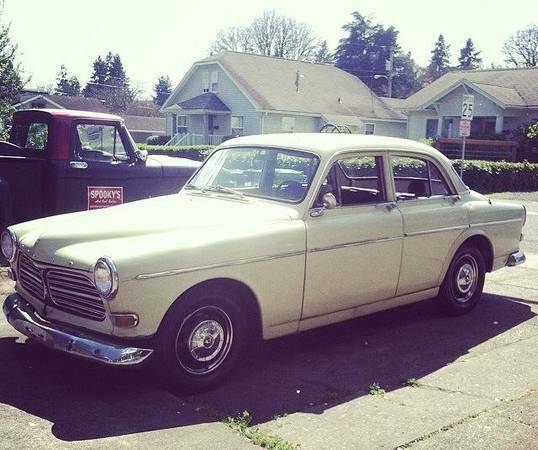 Like this 1967 Volvo 122S for sale for $2200 in St. Helens, OR. The Jaguar XJ6 is a classic shape, but what if you’re worried about the reliability and performance of the mostly-bullet-proof XJ engine, which by 1972 had become somewhat strangled by smog regulations? Or, what if you want engine parts availability at any old auto parts store counter? Many people performed V8 conversions just because of those reasons, and while most converted cars are relatively expensive, the odd deal is out there to be found. 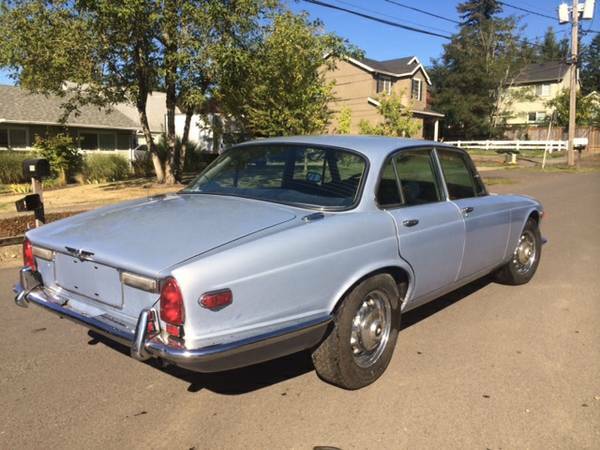 Check out this 1972 Jaguar XJ6 V8 for sale for $2500 in Portland, OR.